NEW DELHI: Net employment generation in the formal sector almost trebled to 8.61 lakh in February compared to 2.87 lakh in the same month of last year, according to the latest EPFO payroll data. The retirement fund body Employees’ Provident Fund Organisation has been releasing payroll data from April 2018, covering the period starting September 2017. During February 2019, the highest number of 2.36 lakh jobs were created in the 22-25 years age group, followed by 2.09 lakh in the 18-21 years age bracket. However, the EPFO has revised downward the number of net subscribers added or new jobs created from September 2017 to January 2019 to 72.24 lakh from 76.48 lakh released last month. The sharpest revision was for March 2018 in the latest report which showed contraction or exit of 55,934 members from the EPFO subscriptions. Last month, the EPFO payroll data had showed that as many as 29,023 members exited from its schemes in March 2018. In February 2019, the EPFO data had showed that as many as 5,498 members joined EPFO schemes in March 2018. This is age-band wise data of new members registered under the EPFO where the first non-zero contribution received during a particular month. For each age-wise band, the estimates are net of the members newly enrolled, exited and rejoined during the month as per records of the EPFO, it added. The estimates may include temporary employees whose contributions may not be continuous for the entire year. Members’ data are linked to unique Aadhaar Identity, it added. The EPFO manages social security funds of workers in the organised or semi organised sector in India and has more than 6 crore active members (with at least one-month contribution during the year). 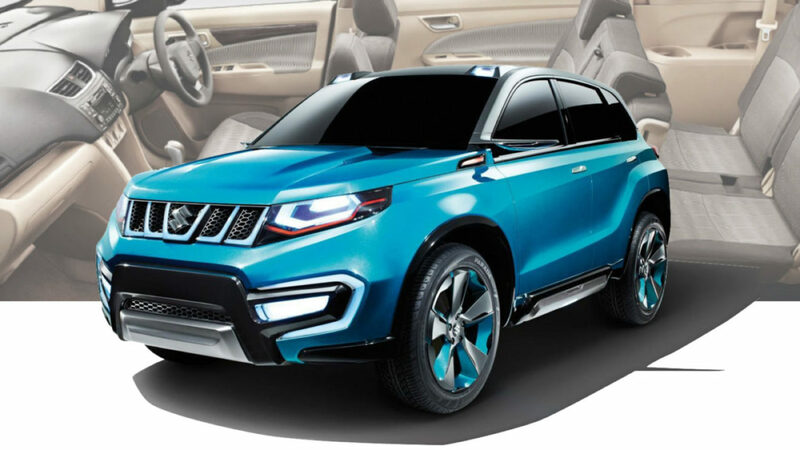 The new-generation Vitara SUV will more likely make its domestic debut at the upcoming Auto Expo before going on sale in the same year. 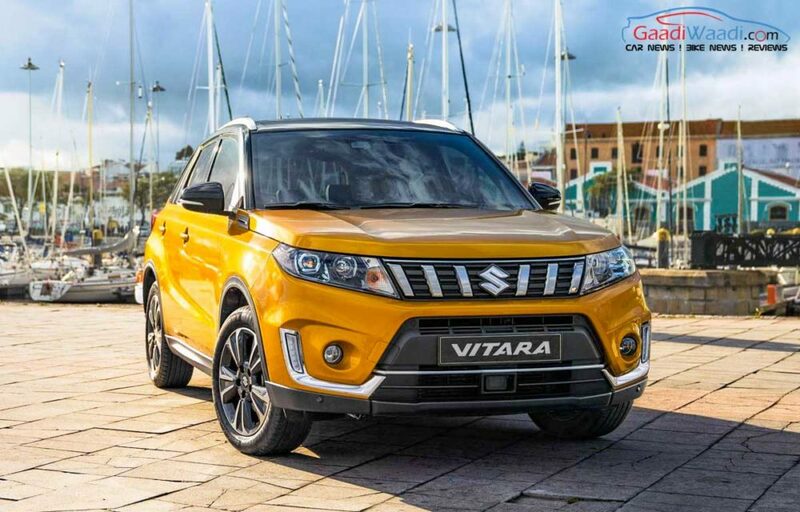 Maruti Suzuki has the Global C platform based Vitara Brezza as its only SUV in the Indian market and it is indeed the best-selling SUV in the whole country. With Hyundai Creta enjoying a great deal of success in a slightly premium segment compared to the Vitara Brezza by regularly averaging over 11,000 units monthly through last year, Maruti Suzuki is expected to aim a big pie with the Vitara upon arrival. The new-generation Hyundai Creta is widely reported to have more upmarket features with seven seater option as it focusses on addressing a wider band of customers. The upcoming Maruti Suzuki Vitara is no different, as it will offer three-row seating arrangement to compete not just against Creta but the upcoming Tata Buzzard as well. In July last year, the Suzuki Vitara sold globally received a mid-cycle refresh with notable design revisions to extend the lifetime of the existing generation. The cabin received a brand new instrument console with Apple car play and Android Auto connectivity along with the addition of a myriad of driver assistance and safety features. Suzuki introduced a new 1.0-litre Boosterjet turbo petrol engine into the Vitara’s lineup with 111 PS maximum power and 170 Nm of peak torque and it replaced the obsolete 1.6-litre unit. It is connected to either a standard five-speed manual or a six-speed automatic transmission as an option. 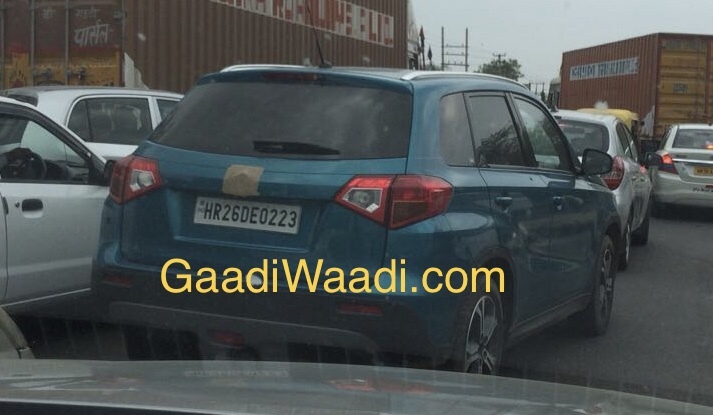 The arrival of the Vitara has been speculated in India for long but nothing materialized and no official statements were made on the company’s behalf. However, we did manage to spot the current generation of the premium SUV last year locally. With the premium SUV segment getting all bunched up in the coming years, the largest automaker in the country could be eyeing a sweet spot with the Vitara. Kia’s Indian entry will be led by the debut of a Hyundai Creta challenger based on the SP concept showcased at the 2018 Auto Expo. MG Motor and PSA could be step up to the plate in the near future. Flight travellers may face an awkward start to their holiday when faced with the prospect of being weighed before they board a plane. According to claims, passengers may be weighed before embarking, particularly when travelling on long-haul journeys, to help a pilot better judge the amount of fuel needed for an aircraft. Those heading overseas could be asked to use “pressure pads” during the check-in process, according to technology company Fuel Matrix. They say the devices would help with “discreetly weighing” people, in comments to the Independent. Fuel Matrix’s chief operating officer Nick Brasier told the publication: “We’re not suggesting people should stand on the scales, but airports could fit ‘pressure pads’ in the self-service bag drop area in front of each screen. The device could be placed alongside airport body scan machines or even at the baggage drop. He added how the majority of flights carry about one per cent more fuel than they need. They then burn about 0.3 to 0.5 per cent more fuel due to the extra fuel weight. The idea is data from the pressure pads at such locations could be sent instantly to the pilot, so they know how much fuel to put on board. The heavier the plane, the more fuel is needed. By being more accurate in measuring the allocation also means aircraft can attempt to be more environmentally friendly. At present, airlines use average weighting guidelines to ascertain the amount of fuel needed for an aircraft – which the company says is inaccurate. It accounts for a woman wishing 11 stone, a man weighing 13.8 stone and a child 5.5 stone. Meanwhile, in 2017 it was revealed Finnish airline Finnair was weighing passengers before they boarded. It again cited the desire to better manage operating and fuel costs, by becoming aware of the accurate weight of a plane. Initially, it was introduced on a voluntary basis. After it reached the 2,000 people mark, it was hoped they could gain a more accurate representation for the amount of fuel needed. British cyber-security researcher hailed as a hero for neutralising the global “WannaCry” ransomware attack in 2017 has pleaded guilty to US charges of writing malware. Marcus Hutchins, who was charged on 10 counts in the United States, pleaded guilty to two of them, with the US government agreeing to move towards dismissing the remaining counts at the time of the sentencing, according to a filing at the US District Court in the eastern district Wisconsin. “I’ve pleaded guilty to two charges related to writing malware in the years prior to my career in security”, Hutchins, also known online as MalwareTech, said in a statement. “I regret these actions and accept full responsibility for my mistakes,” he added. He did not give details. Hutchins had risen to overnight fame within the hacker community in May 2017 when he helped de-fang the global “WannaCry” ransomware attack, which infected hundreds of thousands of computers and caused disruptions at factories, hospitals, shops and schools in more than 150 countries. He was arrested later that year in Las Vegas on unrelated charges that he had built and sold malicious code used to steal banking credentials. US prosecutors had claimed that he and a co-defendant advertised, distributed and profited from malware code known as “Kronos” between July 2014 and 2015. He was later freed on bail, and had plead not guilty to the charges. The case stunned the computer security community and drew fire from critics who argued that researchers often work with computer code which can be deployed for malicious purposes. His arrest had sparked criticism from some researchers who argue that the case could dissuade “white hat hackers” – those who find security flaws to help fix them – from cooperating with authorities. New Delhi: Public Provident Fund (PPF) is one of the most popular long-term investment instrument in the country. With a maturity period of 15 years, PPF offers exempt-exempt-exempt (EEE) income tax benefits. Also, since it is a government-backed investment scheme, it offers guaranteed returns on your deposits. The PPF interest rate is decided by the government and it is revised for every quarter depending upon the yield of government securities. For the April-June quarter, the government kept the PPF interest rate unchanged at 8 per cent. It may be noted that the interest earned on PPF deposits is calculated every month but is credited to the PPF account only at the end of the financial year. The interest is calculated on the minimum balance in the account every month between the fifth and the end of the month. This means that the interest for the month will only be payable if made before the fifth of that month. Subscribers of PPF should note that it is beneficial to make monthly deposits before the fifth of every month as the interest rate (8%) offered on PPF deposits is calculated on the minimum balance in the account before the fifth of every month. What this essentially means that if you have Rs 1,000 balance in your account as of the fifth of the month, the interest will be calculated on that amount. However, if you succeed in depositing money before fifth, then the interest will be determined on the new minimum balance. While many people ignore depositing a small amount before the fifth, thinking it does not make much of a difference. However, in reality, subscribers end up losing on thousands as the addition of a few hundred rupees could translate into a much bigger return after 15 years, which is the full tenure of a PPF. Paying a monthly deposit of Rs 10,000 before fifth from April to March could add up to Rs 5,200 by the end of 12 months as compared to Rs 4,400 if you deposit after fifth. This means that you earn Rs 800 extra every year and if the interest rate remains at 8 per cent for the whole tenure and you deposit the same amount before the fifth of every month, you will be able to earn up to Rs 12,000 more. The government has set the date as the fifth of every month for depositing and availing the added interest benefit as it is the best time for salaried individuals to deposit the money. Tesla Inc said on Friday that four members of its eleven-member board would be leaving over the next two years, as the electric car company looks to streamline its board. Brad Buss, Antonio Gracias, Stephen Jurvetson, and Linda Johnson Rice will not be standing for re-election in the upcoming annual meetings of stockholders in 2019 and 2020, the company said in a regulatory filing. The company said its directors reviewed the composition of the board “focusing on a phased streamlining of the size of the Board to allow it to operate more nimbly and efficiently.” Tesla said the decision did not result from any disagreement between the company and the directors. Jurvetson, the co-founder of Silicon Valley venture capital firm Draper Fisher Jurvetson, is said to be on a leave of absence from Tesla’s board since allegations of sexual harassment against him arose. Jurvetson has denied the allegations against him. But he was again accused of violating that settlement by sending a tweet about Tesla’s production that had not been vetted by the company’s attorneys. On Thursday, a federal judge ruled that Musk and the SEC would get another week to settle a dispute over Musk’s use of Twitter. Jio has announced that it will be launching its GigaFiber FTTH service in 1,600 cities. To recall, the Reliance Jio GigaFiber was introduced in August last year. Chairman and Managing Director of Reliance Industries Limited, Mukesh D Ambani said in a statement to ET Telecom that GigaFiber is rolling out to 1,600 cities across India after a successful beta test in selected cities. However, the company is yet to announce the pricing and availability of its service. The telecom operator had completed the acquisition of Den Networks and Hathway Cable and Datacom Limited. The GigaFiber services include home broadband, entertainment, smart home solutions, wireline and enterprise. “After successful execution of mobility business, Jio is now focused on catapulting India’s underserved Home & Enterprise connectivity market to global standards with its next-generation FTTX services,” Ambani said. “Jio mobility services along with Gigafiber fixed-broadband services and associated technology platforms have been designed to transform India with the power of Digital Revolution and reinvent Reliance as a Technology Platform Company,” he added. Reliance Jio was reportedly testing a new Triple Play plan for its GigaFiber FTTH service. The single Triple Play plan offers a validity of 28 days with 100GB of data at 100Mbps. Additionally, it also offers unlimited voice calling, subscription to Jio Home TV and access to Jio app suite. New Delhi: Paytm Payments Bank Ltd (PPB) Saturday said it has appointed entrepreneur Sairee Chahal to its board of directors. Sairee Chahal is the founder and CEO of Sheroes — a community platform for women. “We are delighted to have Sairee Chahal on our board. She has comprehensive experience of customer service ecosystem. We will benefit from her knowledge and expertise,” PPB Managing Director and CEO Satish Gupta said in a statement. PPB, which was incorporated in August 2016, formally began its operations in 2017. Paytm Founder Vijay Shekhar Sharma holds 51 per cent stake in PPB, while the rest is held by One97 Communications. Gupta had recently stated that PPB has 4.4 crore savings bank accounts with deposits of over ₹400 crore as well as 26 crore wallet accounts. This plan has been introduced to compete with Airtel long term prepaid plan of Rs 998 that offers similar benefits. The telecom operator Vodafone has launched a new prepaid plan of Rs 999 with a validity of 365 days. The Rs 999 prepaid recharge is valid only to Punjab circle at the moment, but it’s expected to be available in other circles in the coming days. Telecom Talk reports, Rs 999 prepaid recharge pack offers unlimited voice calling and 100 SMS messages per day benefits. However, the pack offers only 12GB of 3G/4G data for the whole validity period. The plan also offers Vodafone Play subscription for free. This plan has been introduced to compete with Airtel long term prepaid plan of Rs 998 that offers similar benefits. Airtel Rs 998 plan comes with a validity of 336 days. Airtel is offering users a total of 12GB of data along with unlimited voice calling (local / STD / National roaming) and 300 SMS per month under this plan. The news related to the Rs 999 Vodafone plan comes a day after we heard of Vodafone launching a ‘Filmy Recharge’ prepaid plan of Rs 16 which comes with a validity of just one day. The Rs 16 Vodafone prepaid plan will offer 1GB 2G/3G/4G data to the subscribers for a day. The plan does not offer ant SMS benefit or talk time benefit but it comes only with data. Earlier Vodafone announced that it will give free data to its customers upgrading to 4G SIM. Under this offer, whenever a subscriber upgrades to 4G SIM, he/she will get the free data, which will be credited to their accounts on activation. One can check the data benefits on MyVodafone application. With this, customers with 4G VoLTE-compatible smartphones will enjoy high-speed internet, calls and more. One will also get access to Vodafone Play application, which comes with a host of interesting content that can be easily streamed. Indian equity indices resumed their weekly gains after a blip amid the ongoing polls in the world’s largest democracy and a slowdown in global growth. The S&P BSE Sensex gained 0.96 percent to end the week at 39,140.28 and the NSE Nifty 50 Index rose 0.94 percent to close at 11,752.80. The benchmarks also clocked fresh intra-day highs during the period. The NSE Nifty 500 Index gained 0.66 percent during the week, led by gains in PC Jeweller Ltd. and Adani Green Energy Ltd.
On the institutional activity front, FIIs remained net buyers to the tune of Rs 2,789 crore while DIIs too were net buyers to the tune of Rs 281 crore. On the currency front, the rupee largely remained range-bound between 69-69.6 during the week, to finally close with marginal gains. As the deadline for Iran waivers is coming to end, the rupee is likely to come under pressure. A move past 69.6 should trigger the next leg of upward movement, said Ambareesh Baliga, independent market expert. From the BSE Auto space, Tata Motors was the top gainer which jumped 9.39 percent followed by TVS Motor Company, Motherson Sumi Systems, Hero MotoCorp, Ashok Leyland, Bajaj Auto and Maruti Suzuki. From the banking space, Oriental Bank of Commerce ended 5.18 percent lower for the week. It was followed by J&K Bank, Bank of India, Allahabad Bank, Syndicate Bank, Punjab National Bank, Andhra Bank and Bank of Baroda. Jet Airways was the top loser, down 37.78 percent for the week after the company decided to shut all operations temporarily. Reliance Capital ended the week, down 18 percent followed by Reliance Power, Avenue Supermarts, Indiabulls Ventures, PNB Housing Finance and Dewan Housing Finance. Heavyweights Reliance Industries, Tata Consultancy Services and Infosys have declared their respective Q4 numbers. Oil & gas major, RIL gained 4.06 percent for the week after it reported a 9.8 percent growth in the fourth quarter with a consolidated net profit of Rs 10,362 crore. This was driven by a 19.4 percent increase in quarterly revenue to Rs 1.54 lakh crore. The company attributed the robust revenue performance to strong growth in its retail and digital services businesses which grew by 51.6 percent and 61.6 percent, respectively. Higher petrochemical volumes also contributed to growth in revenue, the company said. IT major Tata Consultancy Services surged close to 5 percent for the week after it reported the strongest revenue growth in the last 15 quarters clocking a revenue growth of 2.4 percent QoQ. Though the EBIT margin of the company was marginally down at 25.2 percent, against expectations of 25.7 percent. Global brokerage firms also reaffirmed their faith in India’s largest software services exporter by revenue as they upgraded the stock. However, Infosys for the week shed 5.01 percent after the company was hit by a slew of downgrades, post-March quarter results. The Bengaluru-based technology major reported 2.4 percent QoQ growth in revenue but margin at 21.4 percent was below expectations of 22.2 percent. Also, the IT major lowered its revenue guidance to 7.5-9.5 percent in constant currency terms. The company had set the revenue guidance at 8.5-9 percent in FY19 as opposed to 6-8 percent in FY18. The other losers for the week were Vedanta, YES Bank, Edelweiss Financial Services, Punjab National bank, Bharat Electronics, Indiabulls Housing Finnace, Bank of Baroda, Tata Chemicals and LIC Housing Finance which were down 2-5 percent. Volatility will continue to remain on the higher side as knee-jerk reactions are expected due to the ongoing results. Investors must stay on the by-lanes and not rush in to ride the current rally till the uncertainty fades away, said Jimeet Modi, Founder & CEO at SAMCO Securities & StockNote. Polycab India started off trade on April 16, 2019, on expected lines, at Rs 638 on the Bombay Stock Exchange, according to CNBC-TV18. The stock opened with an 18 percent premium over its issue price of Rs 538. Another new name, Metropolis Healthcare shares maintained positive momentum throughout the trading session on April 15, the day one on exchanges. The stock closed at Rs 959.85 on the National Stock Exchange, up Rs 79.85, or 9.07 percent over the issue price of Rs 880. It touched an intraday high of Rs 982.70 and low of Rs 935. On the BSE, it gained 9.04 percent to end at Rs 959.55 after hitting a day’s high of Rs 981.30 and low of Rs 934.80.